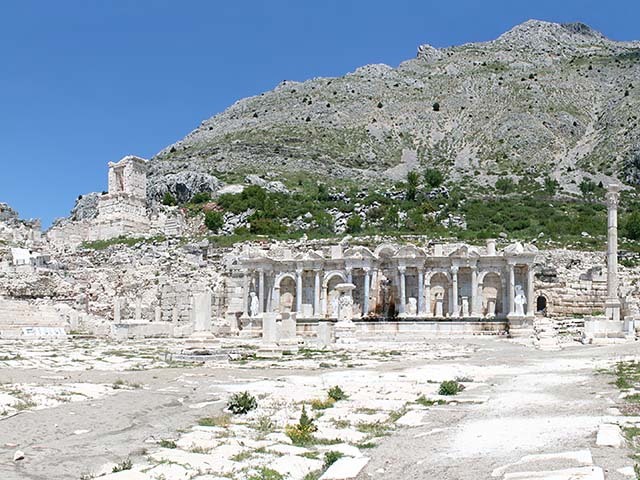 ﻿Sagalassos is an archaeological site in southwestern Turkey, about 100 km north of Antalya in Antalya Province. 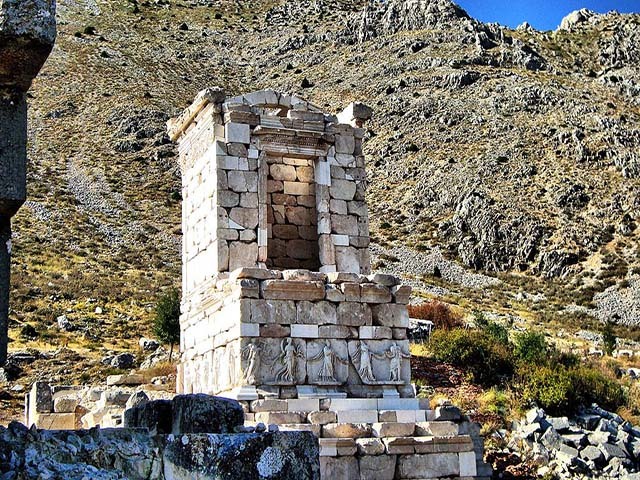 In Roman Imperial times, the town was known as the "first city of Pisidia". 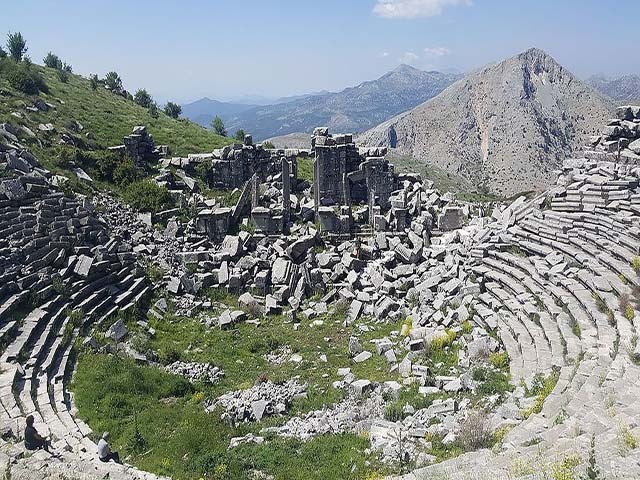 During the Hellenistic period it was already one of the major Pisidian towns.